The PS4 has unabashedly proved itself as the outright console hit of this generation. Stacked with a critically acclaimed line-up of blockbuster games, boasting the comfiest controller in the Dualshock 4 and with a robust online eco-system with the PSN, it’s proved so successful that Sony’s latest console has undergone two recent hardware revisions. The PS4 Slim vs PS4 Pro debate might first appear like a tricky one, but really it all comes down to what you wish to prioritise while playing PS4. Both revised PS4 consoles offer easy access to one of the most vibrant gaming platforms out there. But which of the two is best for you? That’s the quandary this advice guide will aim to answer. Here we’ll highlight all the major differences between the PS4 Slim and PS4 Pro, the advantages of each, as well as the best price you can typically find them at. Read on to discover which to buy. 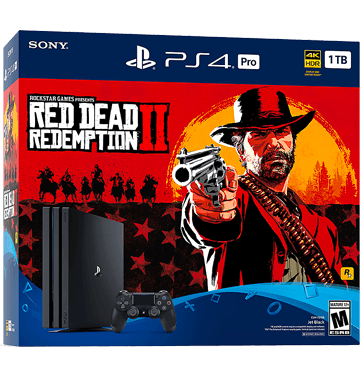 When it comes to pure horsepower, the PS4 Pro has the PS4 Slim beat every time thanks to its ability to run at 4.2 teraflops, compared to the 1.84 teraflops of both the original PS4 and its 2016 Slim successor. This extra boost in power is what allows the PS4 Pro to display certain games at Ultra HD 4K resolution instead of the standard 1080p quality found with the other PS4 consoles. A good way to think about this is simply by remembering that the PS4 Slim is now a sleeker, much neater variant of the original launch PS4 that has since replaced it. This means that it’ll display and process games no better or worse than what players have been used to up until this point. 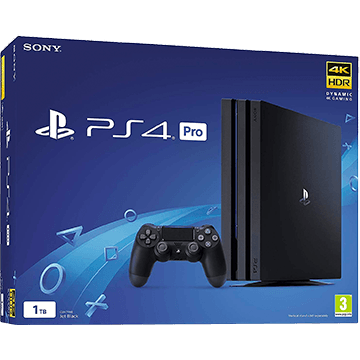 The PS4 Pro, meanwhile, is a mid-generation redesign that features upgraded internals, catering to those who want to squeeze the very best visual experience out of their favourite PS4 games through smoother framerates, better graphics and faster load times. The PS4 Pro’s various benefits – HDR, 4K resolution, steady framerates – will only be fully felt by those with a 4K-ready television set-up. When deciding which PS4 is best for you this is a fact worth bearing in mind. Storage is one of the more trivial notions you need to consider when working out if a PS4 Slim or PS4 Pro is best for you. 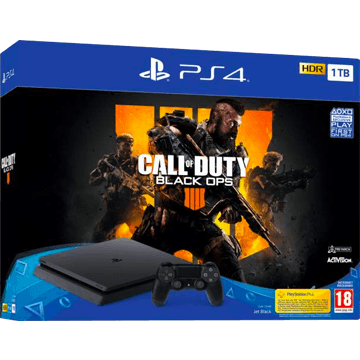 Even before either released, the original launch model came with 500GB of internal storage and now it’s relatively easy to find PS4 console bundles that feature up to 2TB. Modern games have never looked better, meaning that anyone who primarily downloads them digital (rather than pick up a disc in store) will feel the effect and fill up their Ps4’s hard drive quickly. The vast majority of PS4 Pro and PS4 Slim consoles are widely available with either 500GB and 1TB of internal storage, with the former best-suited to those who buy game physically and digitally while the latter acts as the best choice for anyone that exclusive downloads titles. Red Dead Redemption 2 is one of the biggest offenders in showcasing the importance of storage, coming in at a whopping 99GB on PS4. Consider cases like this when deciding whether 500GB or 1TB would be best for you. The PS4 Slim and the PS4 Pro share a lot of similar aesthetic traits. The biggest difference between the two (and the easiest way to tell them apart) is the number of tiers featured. 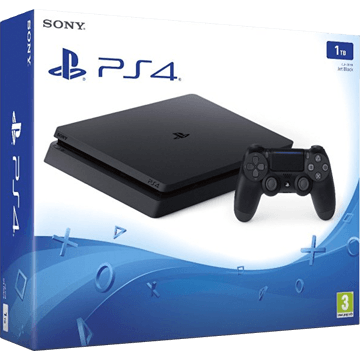 The PS4 Slim is easily recognisable with its two-tiered chassis design, making the PS4 Pro just as identifiable with its comparable three. Both iterate on the original launch PS4’s design by removing the glossy half top and making it fully matte – fingerprint marks will no longer be an issue. 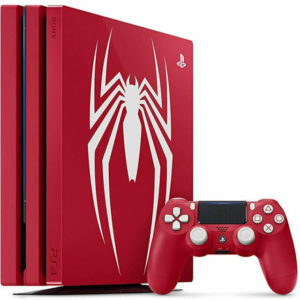 Both PS4 console revisions can are available in a swathe of unique designs and creative colours, with the most common – as we’re sure most would expect – being the classic Black and White tones. This helps to ensure that any PS4 Pro or PS4 Slim has no trouble neatly settling into any player’s entertainment centre. Whatever colour PS4 console you choose you’ll also receive a Dualshock 4 PS4 controller in the exact same shade. A small but important factor that might play into your purchase decision. Every now and then a game will release that is seen as a hallmark event for the PS4 platform. Usual candidates for this include first-party exclusives like God of War, Marvel’s Spider-Man and Uncharted 4: A Thief’s End, as well as other tentpole triple-A titles that offers exclusive content on PlayStation 4 that won’t be coming to Xbox or PC for a long time. This is where Limited Edition PS4s tend to crop up, and it’s a tradition Sony has upheld for both PS4 Slim and PS4 Pro. Any game added to the PS4 library is fully compatible with all three console variants: the original launch PS4, PS4 Slim and PS4 Pro. Where things get a bit more nuanced is in the experience each console will offer you when playing them. PS4 Pro has been specifically designed to boost the capabilities of games enhanced with this in mind, taking advantage of certain technical flourishes like improved HDR, 4K resolution and sharper details. PS4 Slim might not offer players these luxuries, but it’s offset by the significantly lower price point. PS4 Pro enhanced games include: Assassin’s Creed Odyssey, Days Gone, Resident Evil 2, Kingdom Hearts III, Marvel’s Spider-Man, Call of Duty: Black Ops 4. The price difference between PS4 Slim and PS4 Pro is generally around $100 here in the US – that’s without any game or subscription bundled in. This hike in cost is due to the increased power PS4 Pro offers you has when compared to its smaller little brother, treating anyone with a 4K television set-up to some of the best-looking video game graphics possible this generation. Bear in mind that the PS4 Pro currently can’t be purchased with anything less than 1TB internal memory, adding further value. At the time of writing, a 1TB PlayStation 4 Slim has a recommended retail price of $299.95. By comparison, a 1TB PlayStation 4 Pro can be found in most places for $399.00. That’s if both consoles are purchased off the shelf brand new, and without any additional games, subscriptions or accessories bundled in. Compare all of today’s cheapest PS4 deals for brand new consoles. 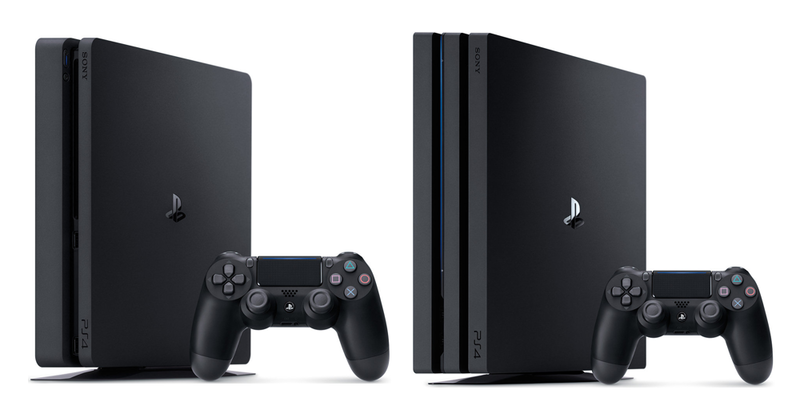 The price of a used PS4 Slim or PS4 Pro can vary wildly and is totally dependent on the condition it’s being resold in. The onus then falls upon the customer somewhat to make the appropriate checks and consider if the price being asked is worth what they’re getting. Most retailed that sell refurbished PS4s will list them at a specific grade, with “fair” typically sitting at the bottom of the spectrum and “very good” or “like new” being considered the pinnacle. Hopefully that’s helped to clear up a lot of questions most would have whenever the tricky PS4 Slim vs PS4 Pro debate rears its head. The two share a lot of similarities overall, only really splitting apart from one another when it comes to the substantial increase in power boasted by the PS4 Pro. If all you’re worried about is getting to play games on the most popular platform, the PS4 Slim is the way to go. If you’re a tech savant, however, that doesn’t mind paying a little extra to experience PS4 games at their fullest, a PS4 Pro is the console of choice.